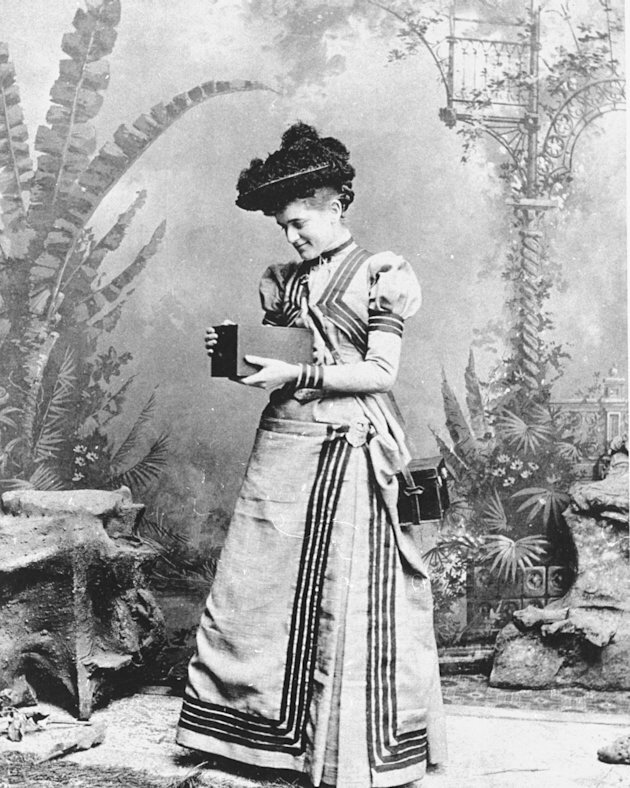 In 1896 – the 100,000th Kodak camera is manufactured and the pocket Kodak camera sold for $5 and in 1900 the Brownie camera is introduced which sells for $1. In 1929 – Kodak introduces its first motion picture film designed for making movies with sound tracks. 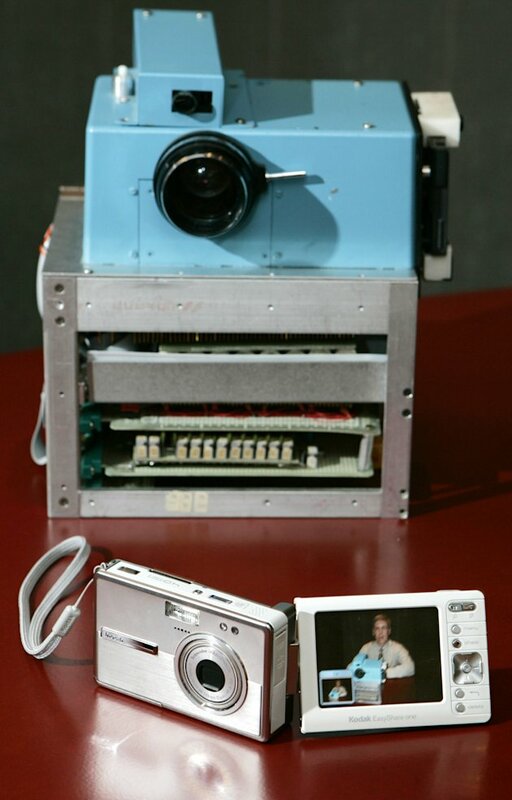 In 1975 – Kodak invents the world’s first digital camera, a toaster-sized image sensor that captured rough hues of black and white. In 1997 – Kodak stock touches all-time high of $94.38 and closes at $0.55 on 18th January, 2012, on the New York Stock Exchange. By the end 2010, Kodak has equivalent of 18,800 full-time employees. Its digital camera market share has falls to 7 per cent, ranking seventh behind Canon Inc, Sony Corp, Nikon Corp. In 2012 – Kodak files a lawsuit against Apple Inc accusing it of infringing four patents related to digital camera images. Kodak later also files patent infringement suits against Fujifilm Holdings Corp and Samsung Electronics Co Ltd. If you’re feeling down in the dumps or suffering from a serious lack of motivation, check out this list of 10 women who will leave you feeling inspired, confident, and ready to make your life the best that it can be. The example set by Mother Teresa shows that no matter how humble your beginnings, you still have the capacity to help others less fortunate than you. After a life dedicated to charity and humanitarian work, she is regarded as one of the most selfless people to have ever lived, and her efforts were recognised in 1979 when she won the Nobel Peace Prize. 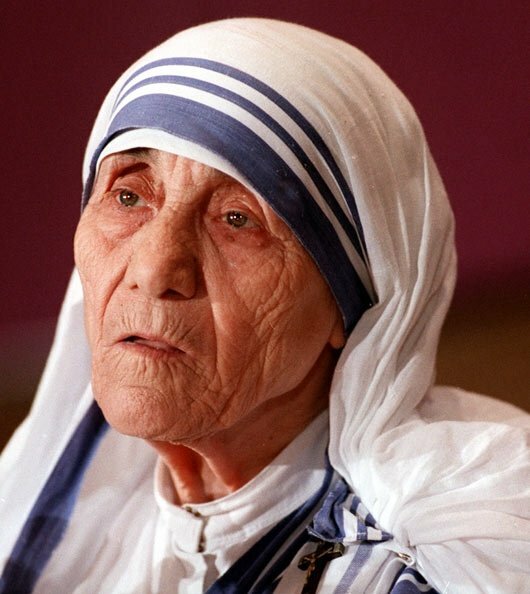 However, one of the most admirable things about Mother Teresa is that she wasn’t doing it for the recognition – she spent nearly 30 years of her life helping others before anybody even knew who she was. 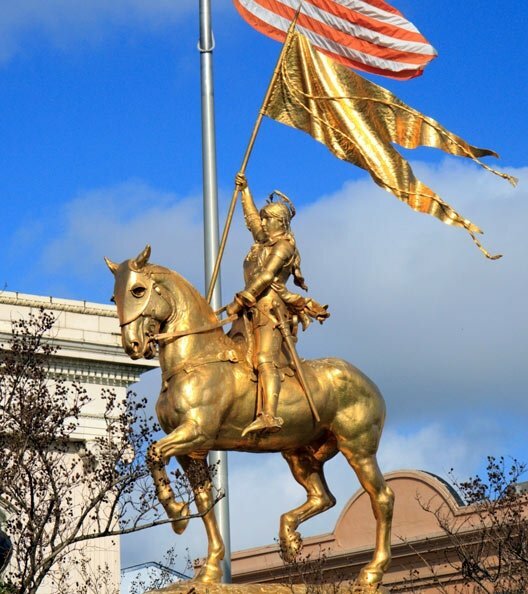 “Stand up for what you believe in” is a great phrase to live by, and nobody did this more so than Joan of Arc. She campaigned for the instatement of the ‘true king’ to the French throne because she believed it was God’s will, and led the French armies in fighting their English invaders. At a time when a woman on the battlefield was unheard of she eventually led her army to victory, fearlessly fighting and eventually dying to defend her country and strong beliefs. Simply through being compassionate, caring and charitable, Oprah Winfrey has made an astronomically successful career for herself. She shot to fame as an interviewer when her ability to emotionally connect with her guests struck a chord with the American public, and since then has gone from strength to strength. 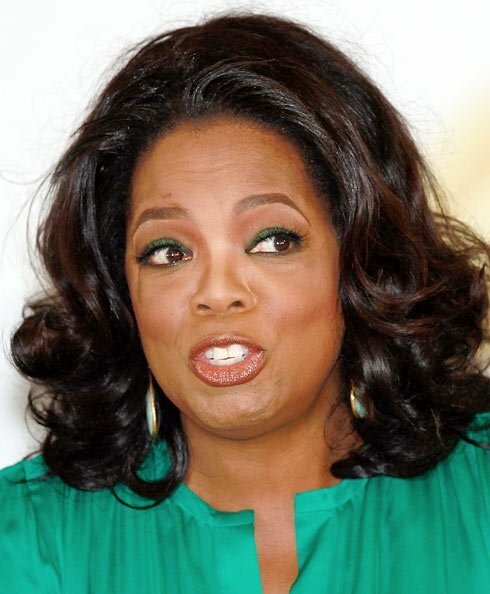 In 2003 she became the first African-American woman to be classed as a billionaire, yet in true Oprah style shares her wealth with those who need it most, having personally donated over $300 million to charitable causes. 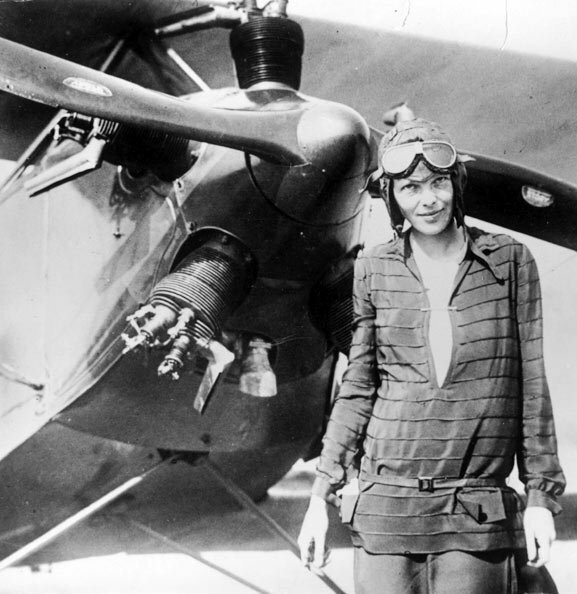 Amelia Earhart’s is a story of both success and tragedy, full of adventuring and pioneering for women’s rights. She was the first woman to fly solo across the Atlantic, and was rewarded with the Distinguished Flying Cross for her efforts – again, she was the first woman to receive this. While other women were being held back by a male dominated society, Amelia was soaring through the clouds, breaking records, and having the time of her life. 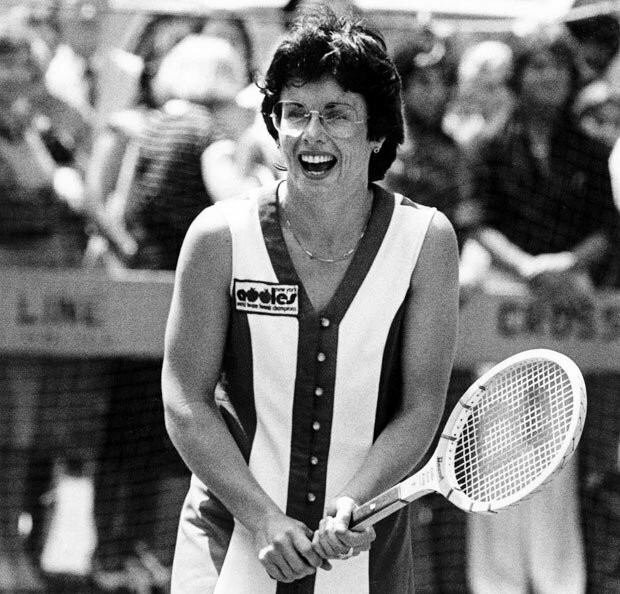 With 39 Grand Slam titles to her name and 6 separate spells as world number one, Billie Jean King is undoubtedly one of the greatest female tennis players to ever grace the game – however, it is her battle for equal rights for sporting women that she will be truly remembered for. In 1973 she took on and defeated self professed chauvinist Bobby Riggs in ‘The Battle of the Sexes’. A former world number one himself, Riggs’ defeat proved once and for all that women deserved both respect and equality in the world of sport. 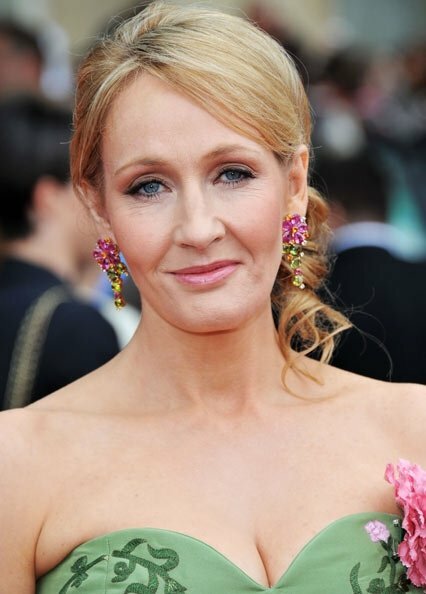 From single mother living on benefits to multi-millionaire author in the space of a few years; if ever you needed proof that you should follow your dreams, J. K. Rowling is just that. After multiple rejections from publishers she finally secured a print run of 1,000 copies for her first book, which you just might have heard of – Harry Potter and the Philosopher’s Stone. Fast forward a few years and the Harry Potter series has sold over 400,000 copies, spawned a whole film franchise, and almost single-handedly made reading cool again for kids. After marrying into the royal family, Princess Diana could simply have sat back and enjoyed a life of relaxation and luxury without a care in the world. However, she took it upon herself to use her celebrity status to help as many people as possible, becoming the figurehead for charity campaigns around the world. 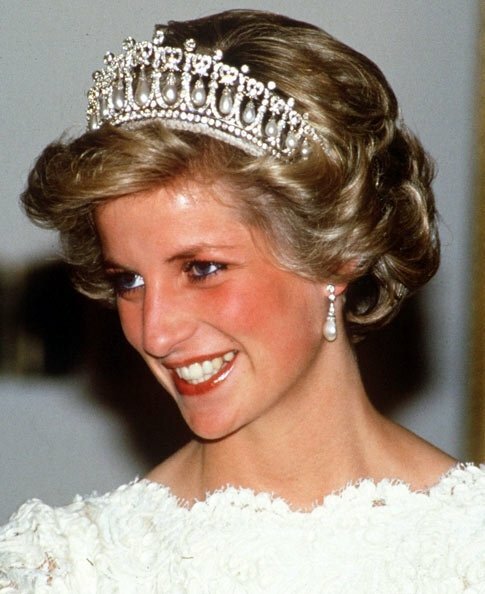 Someone who had everything and was eager to share it with is many people as possible, Diana was an inspiration to people in all walks of life, and her death was met with worldwide mourning. 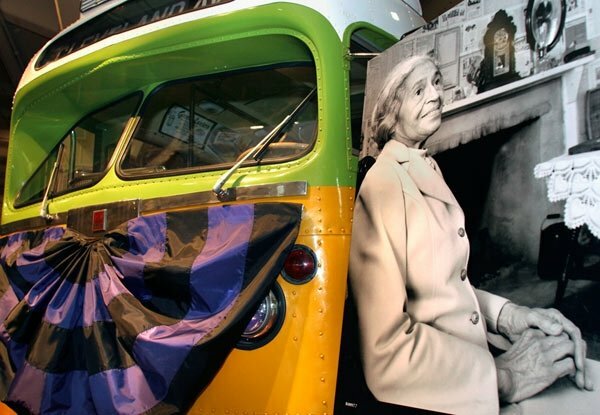 Refusing to give up a seat on a bus may seem like a simple feat, but when Rosa Parks did it in 1955 it was nothing short of unheard of. As an African American, Parks was legally obliged to give up her seat at the request of a white person – something she simply wasn’t willing to do. The courage she showed in that instance sparked the civil rights movement in America, and her simple act of defiance changed the lives of millions of people. 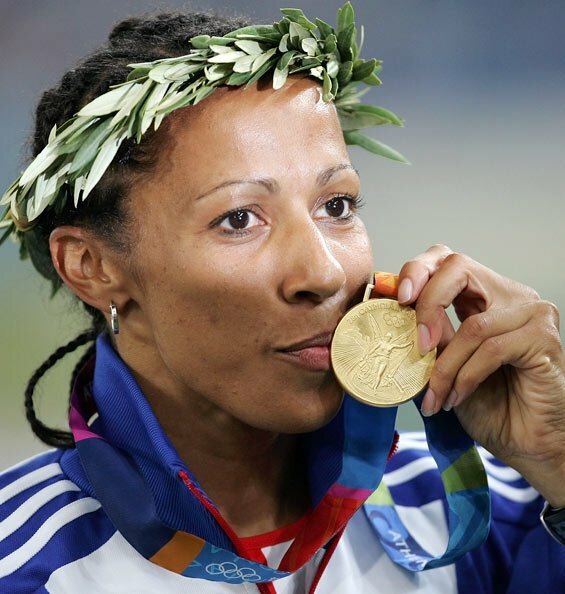 Kelly Holmes’ was a career full of set-backs and challenges, but one that ultimately had a happy ending. After years of trying for Olympic gold, her last chance came at the 2004 Games – a chance that was almost taken away from her by a leg injury. Despite suffering severe depression as a result of this, Kelly was able to battle through the injury through sheer determination, and ended up going above and beyond her wildest dreams by winning double Olympic gold in the 800m and 1500m. “Hoy Sala ” (Strike Sala!) said guru Sudatta Muni to his student Sala, who was in armed combat with a tiger. The beast had just attacked the duo, who were immersed in rituals at a Durga or Vasantha Parameshwari temple in the village of Sasakapura or Sosevur. The student struck the animal in one blow, immortalizing himself and his victim. Pleased, the guru instructed Sala to establish a kingdom. Thus was born the Hoysala dynasty, with Sosevur as the capital. We are a country that loves stories. There are tales for everything from deities to devils, from demi-gods to mortals. You will often hear this story told and retold if you are in Malenadu in Karnataka. Almost every Hoysala temple has this tale carved in stone, making it a royal emblem. The dynasty that ruled Karnataka for over 400 years is known more for its temples than its battles. It is believed that they built over 1,500 shrines, of which more than 400 have been discovered today. Of these only three have made it to the tourist map – Belur, Halebeedu and Somnathpur. My journeys have taken me to barely 30 of them, of which I would now recommend about five. When a dynasty owes its origins to a myth, one has to see the place where the story was set. It is believed that Sala’s Sosevur is Angadi, a small hamlet in Chikmagalur district of Karnataka. Deep inside coffee plantations lies the temple of the Goddess, along with the ruins of more temples and Jain basadis. The priest will narrate the story and show you the temple where Sala killed the tiger. Although historians dismiss the myth, they do believe that the basadis here are the earliest of the monuments built by the Hoysalas. Small mud roads take you uphill into dense coffee plantations. As you follow the roads, you reach a rugged path that takes you to the basadis. Another path leads you to the three temples, which were completely in ruins when I chanced upon them. They are the Chennakesava, Patalarudreshwara and Mallikarjuna temples. Surrounding you are verdant plantations and all that you can hear is the chirping of birds, with hardly a soul around. On the route to Belur from Hassan lies a small green board that says “Doddagaddavalli”. Follow the arrow and drive through the detour and you will see lush fields and coconut trees all along the way. As the eyes get blinded by the greenery, you see the first glimpse of this beautiful 12th century temple, built by a merchant, with a lake in the background and fields all around it. A quaint hamlet with a handful of houses interrupts you, as you finally land right on the doorstep of the temple. It is a Lakshmi temple with shrines dedicated to Kali, Shiva and Vishnu and the only Hoysala temple with four towers or vimanas. A serene lake completes this picture-perfect monument as you look up to see the Hoysala crest basking in the sun. 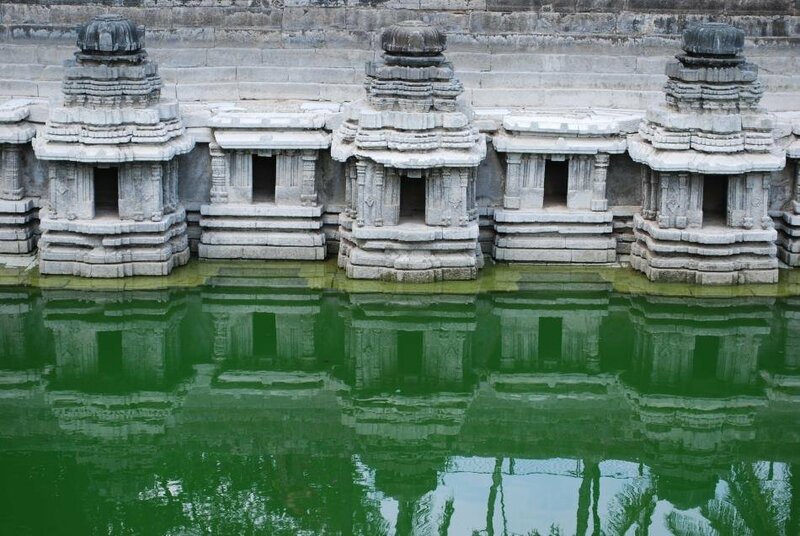 Hulikere is not a temple but the only Kalyani or step-well that I have seen in the Hoysala monuments. Located barely a few kilometers from the Hoysaleshwar temple in Halebeedu, the step-well has several shrines alongside it. The Pushpagiri hill looks down on this small dusty hamlet and Hulikere often becomes the playground for the village kids who head here to play “This is Queen Shantala Devi ‘s private pond,” says the watchman, adding that it is called Hulikere because the security arranged by the king for his queen was so secure that even a tiger could not walk around it. So much for names and myths! Three brothers competed with each other to build the most beautiful Hoysala temple right here in Koravangala, near Hassan. But all that we saw was a 12th century Dwikuta or a temple with two vimanas or towers dedicated to Shiva called Bucheswara. It was built by a wealthy officer Buchi after he won the war against the Cholas, although he lost his sons in the battle. The inscriptions here say that Buchi vied with his brothers Govinda and Naka, whose temples lie absolutely in ruins beside a dry lake bed. Twin temples dedicated to Keshava and Siddeshwara lie in a quiet remote village called Marle in Chikmagalur district. The village spoke of tribal chieftain Poysala Muruga, one of the earliest founders of the dynasty. Yet, today, you barely see a soul around you as you walk along dry fields and patches of land to see the temples virtually lost to the sky and earth. The two lie side by side, adorned with some flowers left by a priest from the neighbourhood. Are you a traveler-photographer smitten with architecture and monuments? Share your photos and travelogues with us. Read our submission guidelines before you send. Nevada (US), Jan 22 (ANI): Germany based firm Yogistar has reportedly withdrawn from its websiteyoga mats carrying the images of Hindu deities, which upset Hindus had called inappropriate and asked for immediate withdrawal. Distinguished Hindu statesman Rajan Zed, in a statement in Nevada (USA) today, has thanked Yogistar for immediate action and for listening to the sentiments of about one billion strong worldwide Hindu community. Zed, who is president of Universal Society of Hinduism, in a statement on this issue on January 19, had said that Hindu deities were meant to be worshipped in temples or home shrines and not to be trampled under one’s feet while doing yoga, as in some of Yogistar yoga mats. Rajan Zed had argued that these deities were highly revered in Hinduism and inappropriate usage of Hindu deities or concepts for commercial or other agenda was not okay as it hurt the devotees. Hinduism was the oldest and third largest religion of the world with about one billion adherents and a rich philosophical thought and it should not be taken lightly. Symbols of any faith, larger or smaller, should not be mishandled, Zed had stressed. Some of the products shown on Yogistar website on January 19 that Hindu devotees would find inappropriate included yoga mats carrying images of Hindu deities Shiva, Lakshmi and Ganesha, which were classified as “Yogamatte Getter-Edition” with each carrying a price tag of 24.90 Euros (about 1623 Indian Rupees); and these were reportedly no longer seen on the website today. The pioneers within society – one in four adults – have already shifted to heart-powered consciousness while the others are finding their way and following suit as soon as they become ready. The news media, meanwhile, appears to be under the impression that people find fear entertaining or compelling. They believe that a news story that engenders fear is exciting in that it grips the imagination. In reality, people are working through their fears rather than being held captive by them. When you have seen enough news stories and moved on to the next stage of consciousness, then you turn the news off and set yourself free from the stimulation of fabricated fears. Society, as a whole, works through stages of consciousness. These stages, which were called memes by legendary social scientist Clare Graves, are patterns of development in social behavior. He discovered two tiers of memes and performed extensive research on the first tier of six memes. This basic tier of six memes reflects the progress of mankind from the dark ages through modern times. In addition to this, today, the second tier has emerged in enough people for the first two of its memes to be identified. 1 Survival Basic, personal survival. 3 Power Courage, survival of the fittest. 4 Truth Finding order and purpose in life. 5 Prosperity Achievement, striving to succeed. 6 Communitarian Community and caring. 8 Holistic Global view, deep intuitive development. In pre-medieval times, the predominant mindset in Europe was that of meme number two, that of superstition and tight-knit clans. Then, European civilization passed though the next two stages; tribal conflict (meme three), and then the seeking of order through a hierarchical, feudal system (meme four). In the 1990s in America, a study by Paul Ray and Sherry Anderson revealed that a huge 26 percent of adults have made a comprehensive shift in their worldview, values and way of life. These Cultural Creatives are people who love nature, respect the Earth and are deeply concerned about the environment. They like to develop close relationships with each other, and to help and encourage other people to develop their abilities. They care about personal and spiritual development, and want more equality for women and all cultural groups. This means that if you are searching for better quality of life, less stress, better health, and a simpler lifestyle that includes more spirituality, then you are one of a growing number of people who have already become a part of the greatest social transformation of all time. In my book, “The Shift: The Revolution in Human Consciousness,” I point out that these stages, or memes, correspond exactly to the stages of consciousness in the human chakra system. For example, the solar plexus chakra has two faces. The forward-facing solar plexus chakra has the characteristic of searching for order and purpose in life, just like meme number four. The backward-facing solar plexus chakra resonates exactly one musical half-tone higher in frequency and has the characteristic of striving to succeed in personal achievement, just like meme number five. “The Shift: The Revolution in Human Consciousness” details my research on how the twelve memes of social progress correlate exactly with the twelve half-tones of the musical octave and also with the twelve faces of the seven major chakras. Society, today, is working through its fears in its journey towards heart-centered consciousness. This level of consciousness is associated with meme number six, the receptive, sensitive, forward face of the heart chakra. Once people discover the freedom of heart-centered consciousness, the next step is what Professor Clare Graves called “a momentous leap” into the second tier of six memes. While the first tier of memes is one of basic consciousness, the second tier is one of spiritual awareness. By stepping from heart-centered consciousness to heart-powered consciousness, each individual reaches meme number seven, the first meme in that second, spiritual tier. A world in transformation may seem chaotic at times because change does cause turbulence. When an established pattern of consciousness is disturbed by a rise in frequency, a choppy pattern appears, one which is searching for a new form. At this time, personal and societal discords can abound as old wounds arise seeking attention and resolution. As the frequency of consciousness rises even more towards the new level, the unsettled patterns morph into an entirely new pattern, one which is even more complex and beautiful than the one it replaces. People reach heart-centered consciousness, the initial, meme six stage of heart consciousness in their own time. Then they take that next step into the spiritual tier of memes and experience the energy and drive of meme seven’s heart-powered consciousness. With heart-powered consciousness comes the inspiration of a deeper sense of intuition, the emotional rewards of unconditional love, and a newfound level of inner creativity. With inspiration, love and creativity, a new dimension of living is born, one which can truly help to create a new and heart-powered world. The world is changing. Welcome to the New Reality!